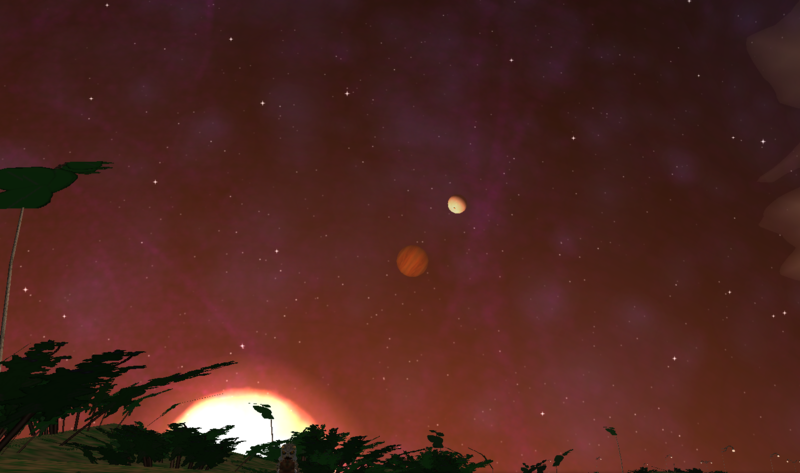 Shores of Hazeron is a multiplayer game of interstellar war and science fiction adventure. The Shores of Hazeron game Universe is presented to the player in three-dimensional first-person perspective. 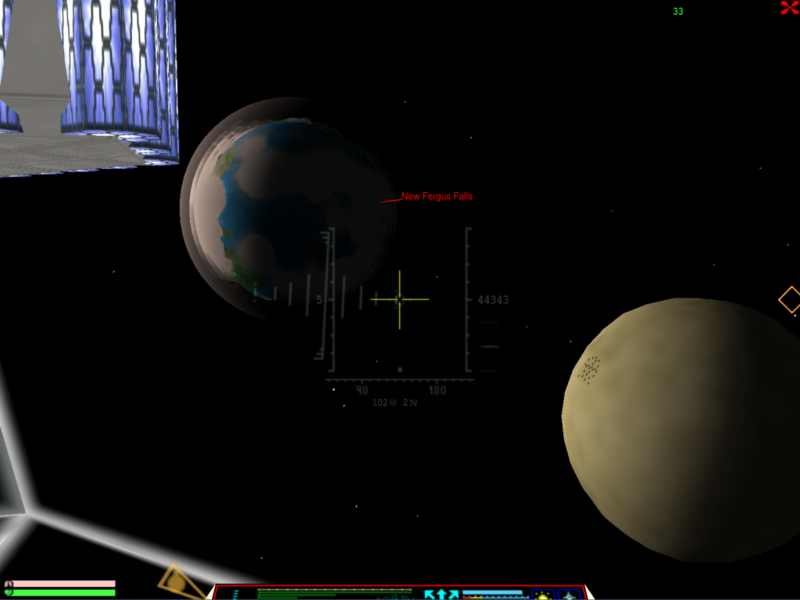 Sizes and distances are scaled dramatically from reality whenever necessary for tolerable game play and limitations of computers. In other words it doesn't really take years to travel to another star, there are hundreds of stars in the sky at night instead of millions, and the nearby planets, moons, and suns appear huge and close in the sky with the unaided eye. Each player perceives the Universe as if they were seeing and hearing it with their own eyes and ears. Players experience the game Universe first-hand as if they were there in person. A large number of players participate simultaneously in the game via Internet. Players interact with each other directly and indirectly when playing the game. There are facilities in the game to help players locate and join their friends, to communicate with each other, and to rescue players from difficult situations. There is no option to play the game solitaire, though there is plenty of space to be alone. Players join together to form empires. Empires are expanded by exploring and developing new solar systems and by conquering the solar systems developed by others. Empires are formed, conquer, and are conquered in a continuous struggle for dominance of the Universe. 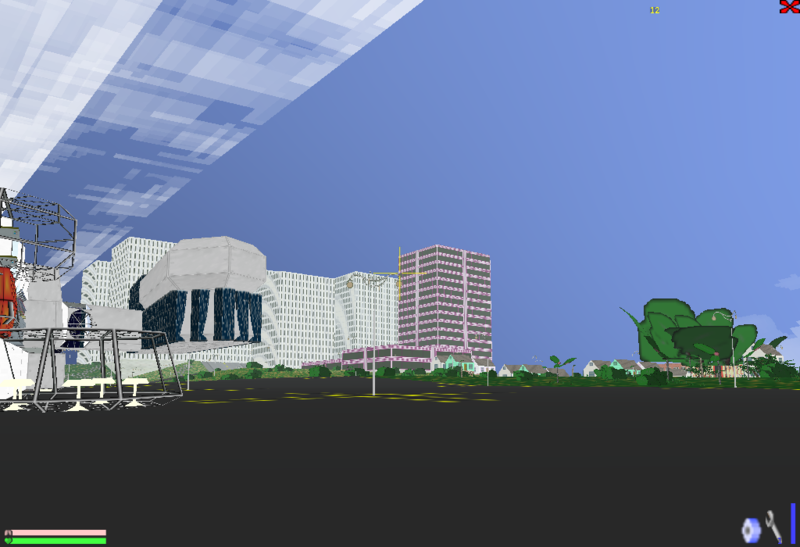 Players develop empires by building cities. Cities are built by constructing industries and roads. Roads expand the reach of a city; industries are built next to its roads. As cities grow, a population of citizens grows with them. Citizens construct buildings, manufacture commodities, and otherwise perform the everyday jobs of the city. 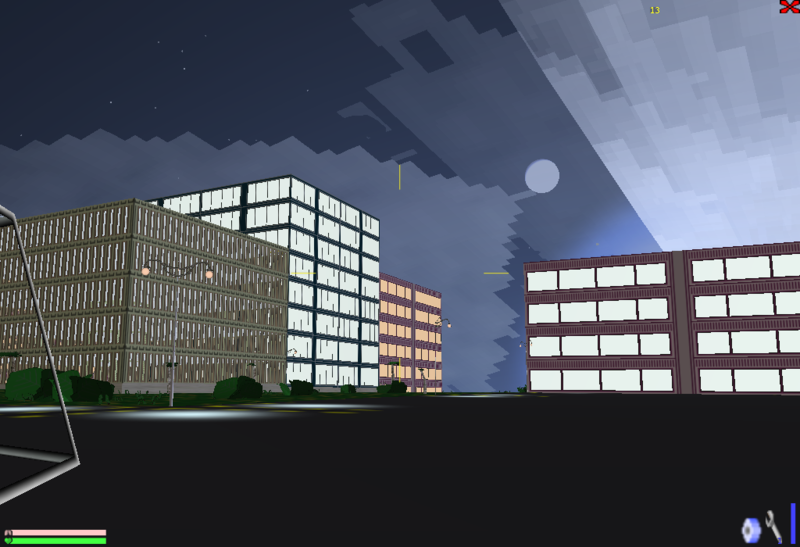 While building the homes and industries of a city, players must manage the challenges of a growing population, morale and unemployment. The game economy is based on commodities, such as stone, grain, wood, coal, etc. Industries manufacture commodities. Cities interconnect to trade commodities. Commodities are used to construct buildings and to manufacture other commodities, Commodities are also used to manufacture vehicles such as boats, aircraft, tanks, APCs, spacecraft, and all equipment used by players. Spacecraft play a central role in the game. 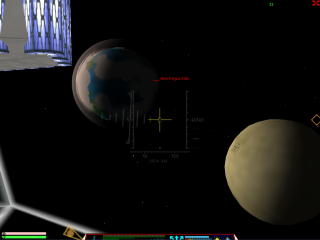 Spacecraft are designed by players in the game environment. The rooms of a spacecraft are "painted" into a grid that can be lowered and raised for decks below and above. 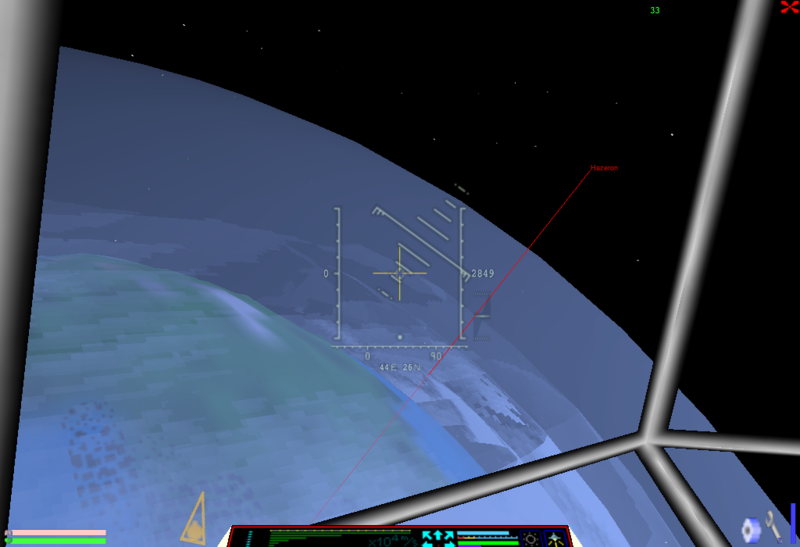 The game creates a fully functional three dimensional model of a spacecraft from the design. Players earn in-game commissions when their spacecraft designs are manufactured, encouraging skilled spacecraft architects to share their designs with others. Once manufactured, spacecraft are used to explore the galaxy and to combat other spacecraft. Unexplored worlds, intergalactic wars and the politics of galactic empires form a rich environment for science fiction story telling. Contributing authors provide intriguing and thought-provoking storylines that progress with the participation of players. Set against a wartorn backdrop, stories unfurl with the players filling the roles of the main characters. There are countless combinations for the layouts and contents of sectors and solar systems, the terrain and weather of planets and moons, the DNA of plants and animals, the designs of starships, and the machinations of clever players. Three dimensional representations of plants and animals are synthesized from compact DNA data, not pregenerated models. With over 300 trillion times a trillion combinations of plant DNA and over 80 thousand trillion times a trillion times a trillion combinations of animal DNA, no two planets in the Universe are likely to have the same plants and animals. Shores of Hazeron presents an exceptionally vast and varied Universe for players to explore and conquer.